Marsad believes that the ultimate challenge for any company is to successfully position its brand's values in the mind of the customers. With the right positioning strategy, a brand is aiming to create awareness and allow customers to engage with the brand's products and services on functional and emotional levels. Who are my main target audiences? Who are my main competitors? What is the brand stand and known for? What differentiate the brand from other brands in the marketplace? What are the most relevant brand values to be associated with? Our brand strategy executives and partners work closely with marketers to make effective decisions to help differentiate their brands, attract target customers, and win market share from your competition. Awareness: is the brand on customers' top of mind? Consistency: does the brand deliver consistent high quality product/service? Differentiation: does the brand deliver unique product/service benefits? Innovative: does the brand introduce new creative product/service? Loyalty: do customers consider the brand for future purchase? The cornerstone for successful segmentation is to have well defined, clearly identifiable, measurable and profitable segments which have similar needs, wants, or demand characteristics. 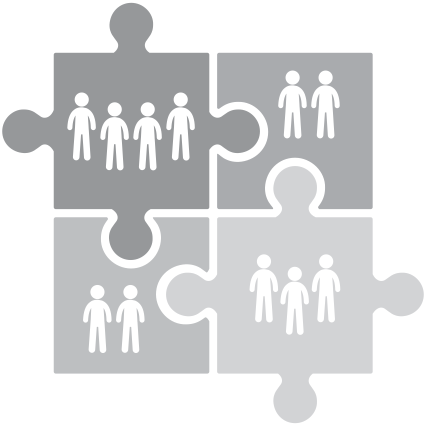 Marsad uses psycho-demographic and behavioral segmentation to segment customers' database within smaller homogenous groups.